A podcast out of Belize about Music & Life. 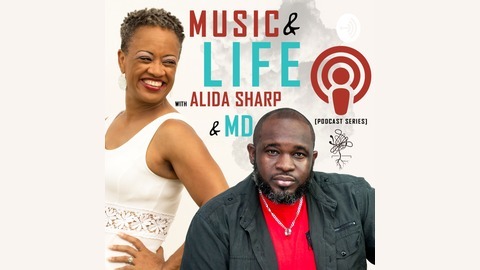 Join the weekly discussion about Music, Life, Art and related topics hosted by Alida Sharp & MD. Follow Roots & Honor CMG: Instagram.com/RootsandHonor Facebook.com/Rootsandhonor twitter.com/rootsandhonor Follow Alida Sharp: Instagram.com/AlidaSharpMusic Facebook.com/AlidaSharpMusic twitter.com/AlidaSharpMusic www.youtube.com/channel/UC7FpAXwjdlj-AJW-D-Q21jg www.AlidaSharp.com Follow MD: Instagram.com/MDFreedomMusic Facebook.com/MDFreedomMusic twitter.com/MDFreedomMusic Youtube.com/C/MervinBudram www.MDFreedomMusic.com. The D-Revelation gospel Band pioneered Caribbean gospel music in Belize. In the 80s and 90s they effectively gave Christian music a new sound. 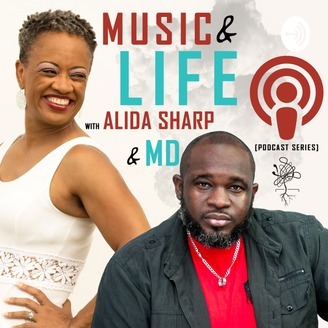 MD and Alida had an opportunity to interview the bass player of the band, Pastor Deon. Tune in and learn a little bit more about the band’s history and journey. #15 Is It Really An Obstacle?